What do you know about the Olympic Games? Probably that it is coming from ancient Greece but do you have any ideas when and why it stopped, or when it started again? Many have seen this famous picture of athletes raising their fist but what did it mean? Ever heard of the Munich massacre? Here is a bit of information about the history of the Olympics. 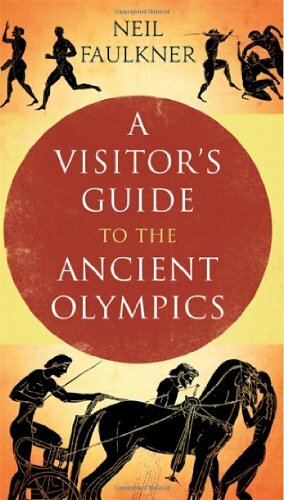 The history of the ancient Olympic Games is part of many legends and myths. The first Olympiad to be recorded was held in 776 B.C in Greece. The ancient Olympics were dedicated to Zeus, the Father of the Greek Gods. Every four years, athletes from all over Greece would gather in Olympia, in the state of Elis, to prove their physical qualities and courage by facing opponents from others cities of Greece. A tacit law wanted that a truce between the cities took place during the period of the Games. A postage stamp from the first Greek Olympic stamp set. Originally, the games featured only the running race or sprint event which lasted for just one day. After that, new events were added like the Pentathlon that included events such as javelin, discus, jumping and running. Even later, appeared events such as chariot riding and wrestling. With additional events, the Games were held for up to five days. Only men were allowed to compete. The winners of each event had their names announced by a Greek judge (Hellanodikis) and received a palm branch. Red ribbons were tied on their heads and hands as a sign of victory. On the official award ceremony, the herald would place the kotinos (a sacred olive tree wreath) on the head of each winner. The importance of the Olympics started to deteriorate when Greek was taken over by the Romans. Emperor Theodosius 1 of Rome totally abolished the ancient Olympics in 393 AD because he felt that they did not support Christian values. His successor, Emperor Theodosius II, ordered the complete destruction of all Greek Temples which included the Olympia, in 426 AD. This led to the demise of the Games until the late 19th century when Baron Pierre de Coubertin founded the modern Olympic Games. The aim of the modern Games was to bring together culture, sport and education. In 1894, the International Olympic Committee (IOC) was founded, and they organized the first modern Olympic Games held in 1896 in Athens, Greece. Fourteen countries participated in events such as marathon, swimming, artistic gymnastics, tennis, fencing, shooting, wrestling and weightlifting. It was there marathon was born, simply as an event of the Olympic Games and not as the independent race it has become today. An interesting read about the ancient games. The next Games in modern times were held in 1900 in Paris and were the first Olympics where women were allowed to participate but it was only in 2 events: golf and lawn tennis. Also, despite more and more events were added, in 1992, 35 countries were still sending all-male delegations. The 2012 Olympics are the first where every country are represented by at least one female athlete. With the addition of women boxing, it is also the first where women can compete in all the same sports as men. The Olympics were then organized in 1904 in Saint Louis, USA but did not have a big success, as it was too difficult for European athletes to travel to the USA at that time. In 1906, the Games took place in Athens but are not considered official Olympic Games by the International Olympic Committee (IOC). Actually, despite what people would imagine seeing how successful the Games are today, those 4 events did not bring so many participants and had a hard time attracting the attention. The first big modern Games were the ones held in London in 1908 with more than 2000 participants (vs 651 in the Olympic of 1904). Also, it featured the first marathon to be run at the current distance (the previous marathons being a bit shorter). Something to note is that at that time, Winter Games had not begun yet and figure skating was an official event of these Olympic Games, which were not yet known as Summer Olympics. In 1912 the Olympics were held in Stockholm and an interesting story is the one of Jim Thorpe winning both the decathlon and the pentathlon but was later stripped of his medals because of "amateurism", as he had been paid a few times to participate in baseball games. His medals were returned to him in 1983, 30 years after his death. The Olympics were cancelled in 1916 because of the World War I and this was just the start of a series of problems encountered by the Olympics because of wars, politics or religion. Nice gift idea if you have a friend who is a fan of the Games. The Games in 1924 were held in Antwerp, Belgium and were retroactively called the first Winter Olympics. The 1936 Berlin Summer Olympic became controversial as Hitler attended and regarded it as his Olympics. It was also subject to Nazi propaganda trying to promote the idea of the "Aryan racial superiority". These led to several countries to consider boycotting the Games. Jesse Owens (African American) winning 4 gold medals was a good counter example of the Nazi theory. The 1940 and 1944 Olympics were cancelled because of the World War II, so it was 3 successive Olympics missed by some athletes. The first Paralympics Games (where athletes with a physical disability compete) were held in 1960 and were Summer Paralympic Games. The Winter Paralympic Games only started in 1976. 1948 was the first Olympics after the World War II. Germany and Japan could not participate in either the 1948 or the 1952 Olympics. 1952 was the first Olympics the Soviet Union joined. After the Russian revolution in 1917, Russians did not compete in a single Olympics (the Russian Empire did participate in the 1900, 1908 and 1912). In the 1956 Olympics a water polo match between USSR and Hungary did not end well as the violence between the two teams escalated during the game. The police had to intervene to avoid a riot from the crowd. The match was later called "Blood in the Water" because of a hungarian player bleeding after the match and was later the subject of the documentary "Freedom's Fury". 1960 was the year of the first Paralympic Games (where athletes with a physical disability compete). It was Summer Paralympic Games, the Winter Paralympic Games not happening before 1976. The following three Olympics were memorable but not for the same reason. An image taken in the 1968 Olympics will become one of the most famous Olympics images ever. African-American athletes Tommie Smith and John Carlos raised their fist while on the podium and during the United States National Anthem. 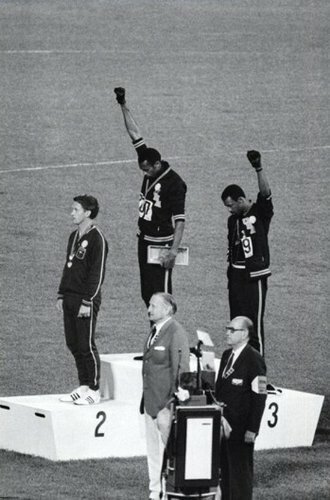 This gesture was later known as the "Black Power Salute", even though Tommie Smith declared later that the gesture was not a "Black Power" salute, but a "human rights salute". The atheletes were booed, expelled from the Olympics and subjects to death threats when they went home. "Time" magazine used the wording "Angrier, Nastier, Uglier" to describe the event. An event called the "Munich Massacre" took place in the 1972 Olympics. Even though less known, it is not less tragic. 11 members of the Israeli Olympic team were taken hostage and eventually killed by a Palestinian group called Black September, after an unsuccessful rescue attempt by the German police. A police officer was also killed in the event. Among the 8 kidnappers, 5 were killed by the police during the rescue attempt, the 3 others being imprisoned but later released when the group Black September hijacked a Lufthansa airplane and threatened to kill some passengers. Israel later launched two operations called "Operation Spring of Youth" and "Operation Wrath of God", where Palestinians suspected to be involved in the massacre were tracked down and killed. The 1976 and 1980 Olympics were the subject of important boycotts. Only 92 countries participated in 1976 and 80 in 1980 (121 in 1972 and this number was raising). The 1976 boycott was due to the refusal of the IOC (International Olympic Committee) to ban New Zealand, after a controversial tour of their rugby team to South Africa. In 1980, the hosting country was the Soviet Union and some countries boycotted the Games because of the invasion of Afghanistan by the Soviet Union. In 1984, the Soviet Union and 13 Soviet Allies reciprocated the boycott but the total of participating countries was still much higher than in 1976 and 1980 (140 countries). After that, no Summer Olympic Games had less than 140 participating countries. In 2010, were held the Youth Olympic Games for the first time where young athletes from 14 to 18 can participate. The 2010 Youth Olympic Games were Summer Games, and 2012 has seen the organisation of the Youth Winter Games. 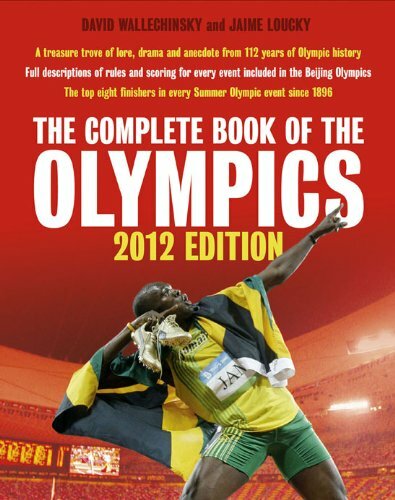 The 2012 London Olympic Games: London hosts the Summer Olympics for the third time and is the first city to do so. Athens hold the Games in 1896, 1906 and 2004 but as said earlier, the IOC does not recognize the 1906 as being an official Olympiad. This event has become so popular that it seems very unlikely to disappear anytime soon. The next games will take place next year (2014) in Sochi, Russia and the 2016 summer Olympics will take place in Rio de Janeiro. Let's wish good luck to those cities in the preparation and organization of the Games! Thoroughly enjoyed this article. 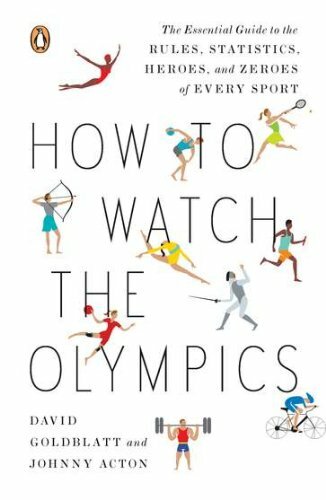 I had planned to do some researching myself to learn more about the Olympics, but time has a way of slipping by. Thumbs up, and congratulations on being featured. Thanks a lot for your comment and for the thumbs! I completely know what you mean, as I had planned to write it before the start of the Olympics and the article was unfortunately only ready after the opening ceremony. I am glad I managed it after all. Though not exhaustive, of course it cannot be, it is nice with opt illustrations.Thanks for sharing. You are right, the history of the Olympics is so rich that any article about it is doomed to put parts of it aside. I still hope I have gathered enough information to make it interesting.